The OG 60 is the ultimate cooker (towable or stationary) on the market. The OG 60 has been meticulously designed for cooking whole hogs over live coals. Its large cooking surface is excellent for cooking large quantities of food. What differentiates this cooker from the competition? Virtually everything. All components have been battle tested and upgraded to provide future Pitmasters with a cooker built to last and be efficient and safe, as well as consistent. The OG 60 will allow you to dial in the perfect amount of airflow, thus providing your target temperature, and a consistent end result. Overall Depth (not including trailer) 48"
Side Shelf 8.75" x 36"
Joel and his crew offered nothing but the highest level of service and quality for our series of 4 events in October 2018. The taste, quality, and presentation of the food offered a memorable meal that we will not soon forget. OG took care of all the details, big and small, so that we could relax, focus on entertaining our guests, and enjoy the events. We will use OG Catering again and will recommend OG whenever possible. Keep Up With Sales and Specials! 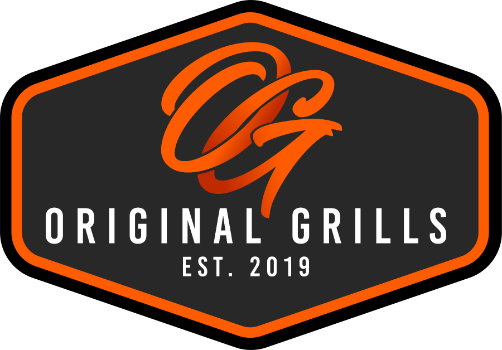 Our goal is to make sure you love your grilling experience - whether that's with your current grill, something new, or a premium OG Cooker, we're here to help.